The most important change is in the first paragraph. Now, if you are using a Windows-version of Adguard, our browser extension can be a very useful addition for you – it will completely replace the browser-based module “Adguard Assistant”. With the extension, you can manage filtering of websites, and if necessary disable or enable it. Feature Block ad on this website is integrated with Adguard for Windows, and adds new rule to user filter of the program. 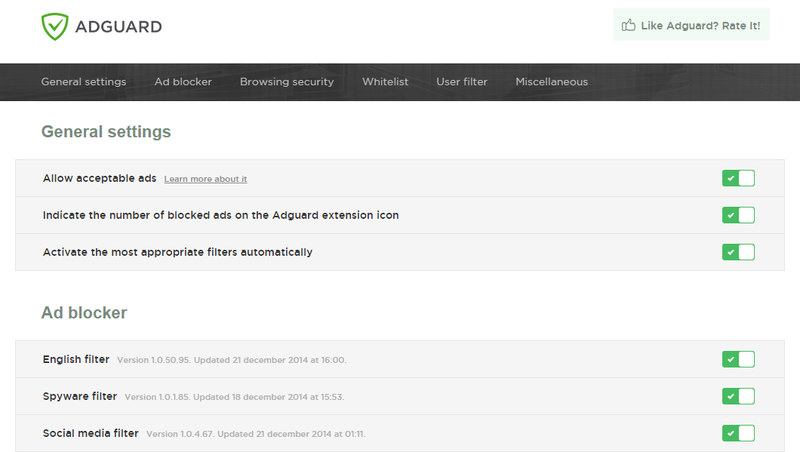 Where can I get the latest version of Adguard extension?